The year is 3044, and the Earth’s water has been stolen by a race known as “The Shatters”. 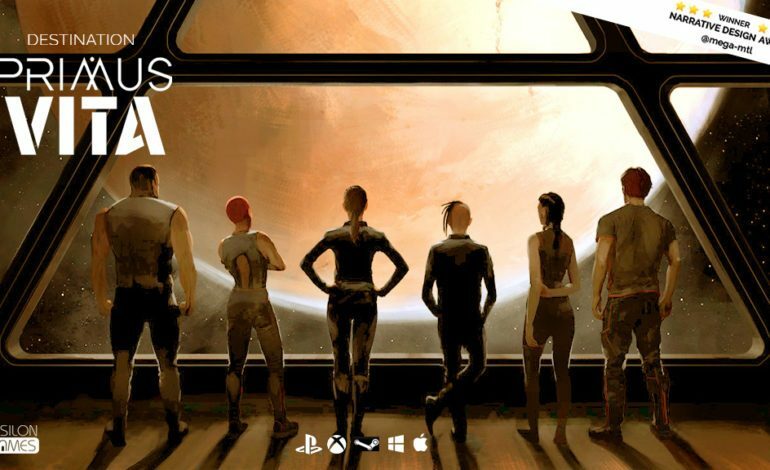 With humanity’s last hope weighing on a crew of six, Destination Primus Vita will allow players to be aboard the ship headed to an alien planet to reclaim Earth’s water in an episodic adventure. Destination Primus Vita, from Epsilon Games, was created by industry veterans and ex-Ubisoft employees, and this even includes the company’s co-founder, Anne Gibeault, who is also the creative lead of Epsilon Games and a comic series author. In the episodic game series, players will be able to experience intertwining narratives through the eyes of each of the six members of Crew 121. While en route to Primus Vita to reclaim Earth’s water, the crew aboard the ship will do anything to help Earth’s mass water problems, and in turn, extinction. The crew consists of many different walks of life, and characters consist of quantum physics scientists, military personnel, botanists, and communication experts. Because of the wide range of the cast, not everyone on the crew will see eye-to-eye, so conflict will arise within the crew. The relationships within the crew will be monitored via light RPG elements, and players will be able to see the affinity each crew member has for the others. In addition, the journey to Primus Vita is a long one, for it will span over four years. As a result, the crew will be in cryo-sleep, and their ship’s AI will try to keep the crew sane by administering vigorous cognitive tests, and these puzzles will require teamwork from the crew to complete.